Hamilton Place is a residential community located in Delray Beach, Palm Beach County, Florida. Hamilton Place is comprised of just 16 town homes ranging from two to four bedroom floor plans. Homes offer top of the line appliances, granite counters, wood cabinets, crown molding, upgraded flooring, walk in closets, and other high end features. The community offers a swimming pool and lush tropical landscaping throughout the property. 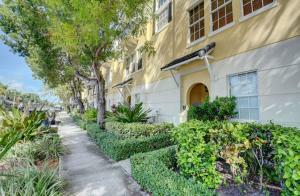 Hamilton Place is adjacent to the Historic Marina Bay district and a half block from the intracoastal waterway. Residents are also just minutes from beaches, shopping, theaters, parks, and many restaurants. Hamilton Place in Delray Beach is really a wonderful location. The Delray Beach location is amazing. But, if this isn't the community for you, you might like one of the other local communities like Bexley Park or Windsor Court or Palm Trail Yacht Club that are located here as well.